Need a hands-on, crowd-pleasing session at your next media or marketing conference? Of course you do! Don't worry, we've got you covered. How about teaching your audience how to build business videos like a big brand on a small brand budget? 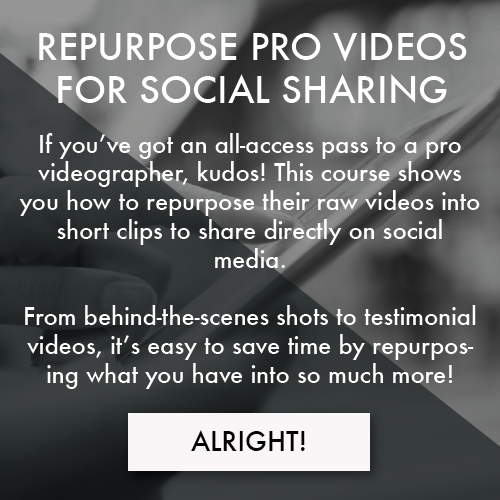 We'll show you how to make branded videos quickly + easily using simple + inexpensive tools. And you best believe us! The heart of our kit is a smartphone. And, most of our videos strategies and ideas take only minutes to master. But, don't take our word for it. Our clients make us feel like rockstars. We've filled rooms to capacity, hosted standing-room-only sessions and events and sold out 100+ venues with our clients--and their rave reviews and results prove it! Video is the single most important content strategy today.